No one needed to tell Ricky Rubio. He knew. And he’s known for a while. So as fans griped over plummeting shooting percentages, flustered by the point guard’s overall shaky start to this NBA season, they instead welcomed a role reversal on a Friday night. The man who wowed in a man bun a year ago resurfaced. Rubio was his previous self in a Jazz note. And for the Jazz, as they waltz through this hot-to-cold beginning to the year, it’s beyond a welcomed sight. The point guard set his feet and drained open 3’s. And contested ones, too. He knifed though the middle of the floor, knocking down signature off-balance awkward jumpers. 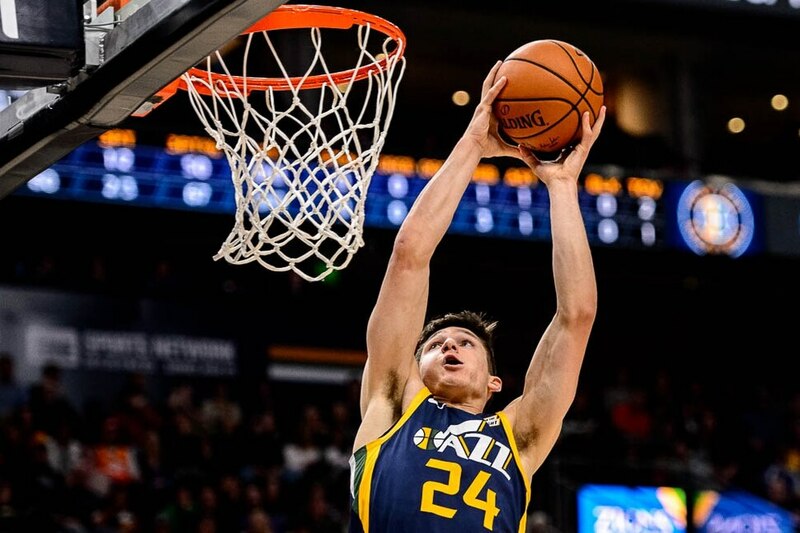 “There’s always levels of indecision, and I thought his pace and his tempo were good and that allowed him to make decisions that were highly efficient,” Jazz coach Quin Snyder said. Above all else, Rubio was efficient. He entered Friday’s game against the Grizzlies shooting 31 percent from the floor in nearly 30 minutes a game. Through Utah’s first seven games of the year, he finished in single-digit scoring five times. 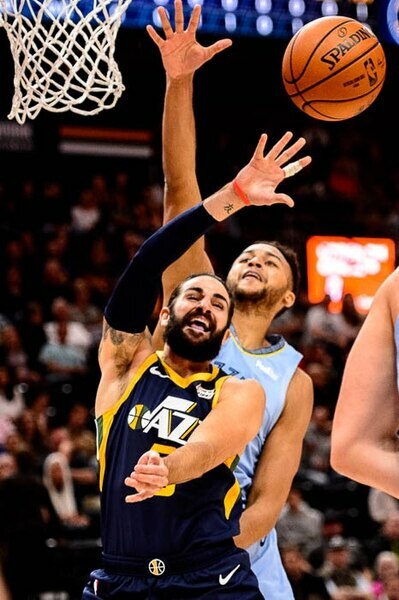 But against Memphis, Rubio swished his first attempt of the night, a straightaway 3-pointer, and his night of comfort — albeit one of foul trouble, but he wasn’t alone there either — was necessary with the Jazz without guard Donovan Mitchell. Rubio finished with 22 points on 9-of-17 shooting and 11 assists, his second double-double of the season. For the Jazz to press on minus their young superstar scorer, Rubio’s importance increases, not only from his usual facilitating standpoints of moving the ball, but from putting the ball in the hoop, too. Outside of his standout game of the season (28 points, 12 assists, six rebounds) in the win in New Orleans on Oct. 27, Rubio’s early struggles, he said, were primarily based on pressing. He worked tirelessly to implement new pieces to his offensive game, and he pushed to incorporate much of it early on. 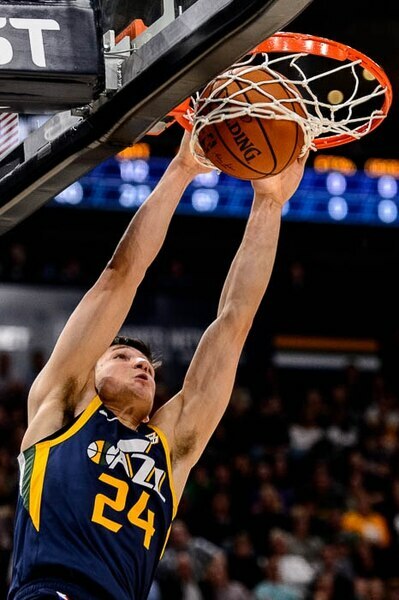 But Friday proved to be another glimpse of Rubio aiming for that consistency he reached in his first year in Utah last season, when he averaged a career-high 13.1 points per game.